How's life everyone? Good? Bad? Having a tough time surviving in this world? I don't know. For me, i'm considering myself to be experiencing both of them. Because i see or should i say, God inspired me, that whatsoever happens in life, it is supposed to be treasured and not be ignored. There's a verse from Al-Quran stating that, things we think it is good for us, might be actually bad for us, while, things in which we assume is bad for us, might be essential to us. Come to think of it, isn't it true? I've seen people or should i say watch some dramas and movies where some people most likely had to endure life in the utmost alien condition whereas they have to strive and suffer till the end of their last breath. 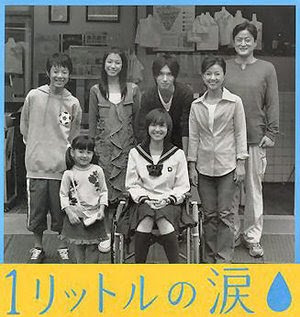 A very good example of it would be, the J-drama or Japanese Drama, Ichi Ritoru No Namida or One Litre of tears. It is a story about how a very young girl suffers from spinocerebellar antaxia (i don't know correct or not the spelling) in which she will be slowly losing control of her body simply because of some part of her brain is degenerating day by day. It begins, when she realizes that she often stumbles when she walks, and that many weird things happen to her that other youngsters around her did not face. One part of the story shows that, due to her condition, she had to trouble her friends and family and that she had always says "Gomenasai ('m sorry)" as she felt she is being troublesome to people around her. Then, one day, her mother encourages her that she must go on with life no matter what happens and always appreciate others. From asking for forgiveness, she then says to people, "Arigato (Thank You)". 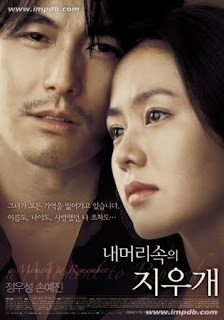 One Korean Movie entitled , "A moment to remember" (what an irony), is a story about how a twenty seven years old woman, suffer from alzheimer. Her hsuband did everything not to loss her till the end. He even said, "Why should your soul be forgotten? I will remember things for you." If you guys have the time to watch these two great entertainment, do watch. Seriously, do watch it. Both of them left great impacts towards me on my views towards life. Not just that. I think what happens to those two characters, and also to many others around the world are a sign that God is giving us the chance to be closer to Him in a very sentimental manner. There is a saying that men would only treasure something only after they lose it. Losing things that is precious to us would help us to be more independent and also hopeful to God that He will guide us through all the hardships that we had to endure before the day of judgement comes. Usually, men would seek God if they are broke, so if those who had to undergone such experience, let us hope that their faith towards God is strong and that they did not lose their hope until the day they die. "God didn't promise that life is going to be easy. But He did promise that He will be accompanying us all the way through, if we want Him to"
p/s: Just clisk to the links and you will be directed to the page where you can watch the drama and movies online. haha..guess what izzul? i can hear ur voice in ur writing..haha~ it is so u..